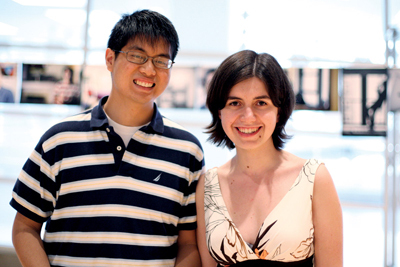 When Angela Radulescu ’11 stumbled across Bennett Hong ’11’s Facebook photo albums of friends and classmates, she was impressed. 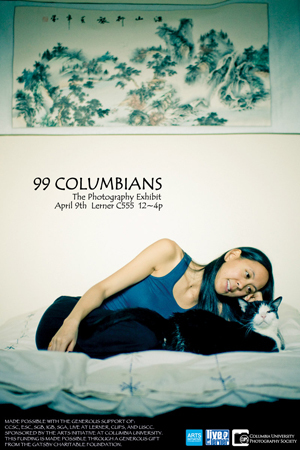 Radulescu, then photo editor of Spectator, had always wanted to create a unique, Columbia-centric photography project, and Hong, whose portraits she found remarkably intimate and crisp, seemed like the perfect partner. So she approached him with an idea halfway through the 2009 fall semester: photograph 99 students in their dorm rooms to create a portrait of Columbia’s diverse student body. Hong quickly agreed, and the two created a Facebook group to gauge student interest. Within three days, the pair had 100 students volunteering to be subjects. And so the “99 Columbians” project was born. Radulescu, a neuroscience and behavior major with a concentration in economics, and Hong, a pre-med East Asian languages and cultures major with a concentration in economics, didn’t often have much time to spare. But the duo used every moment they could for the rest of the semester to run from dorm to dorm, spending as much as four hours with each subject. They discussed everything from one student’s summers spent teaching at clown camp to another’s move from Afghanistan to the United States as part of a conflict resolution program. “There are so many unusual stories that emerge when you take the time to interact with someone on this level,” says Hong. At the busiest point of the project, he scheduled up to four shoots in a single day, making it a rule to spend roughly two hours talking and two hours photographing. Ryan Bubinksi ’11 devoted his winter break to creating an interactive online gallery of the exhibit at 99columbians.com. Robyn Burgess ’10 volunteered to manage the public relations. On April 9, Radulescu and Hong held an exhibit in Lerner Hall to showcase their work and contributed art to several other campus events organized by CUArts and CCSC.